Slovenia is one of our favorite countries in the world. This tiny jewel of Europe is blessed with breathtaking natural beauties: mountains, alpine lakes, fairy tale valleys, giant caves and the Adriatic Sea. Not to mention its lovely towns and romantic castle ruins. Just like in any other country, it’s impossible to see everything worth seeing in Slovenia during a week. But we are sharing our 9 days road trip itinerary to help you finding the most unique and beautiful places. We crafted it to be even better after we’ve actually finished the trip. One more thing to highlight is that we are crazy hikers, and we prefer nature to cities. So our focus on our first trip to Slovenia was more on natural beauties than on cultural heritage. Still we squeezed in some sightseeing, and we got tempted to do a lot more in the future! We arrived to Slovenia by car from Hungary, you will maybe arrive by plane. Anyway, Ljubljana, Slovenia’s charming capital is a good place to start your travels in the country. Ljubljana is one of the smallest capitals in Europe – and it’s one of the cutest, too! It’s a very green and pretty place with Ljubljanica River flowing through its elegant city center. It’s not nearly as well-known as other capitals in Central Europe, but we don’t think it will be the case for very long. Slovenia is continuously gaining popularity. 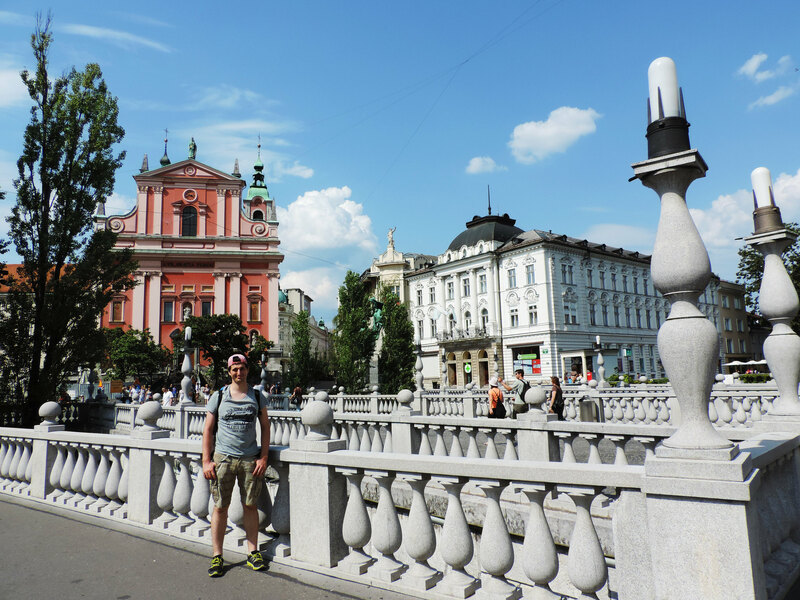 We recommend one day for exploring Ljubljana. Read our detailed sightseeing guide here! The following day, we left Ljubljana early in the morning, because we had an action-packed day ahead. Our first stop was Skocjan Caves (Škocjanske jame in Slovene). It has the largest known underground canyon in the world! We walked through giant halls embellished with karst formations, and a narrow bridge over the canyon. We even saw some small underground waterfalls. And all the way we felt so-so small. 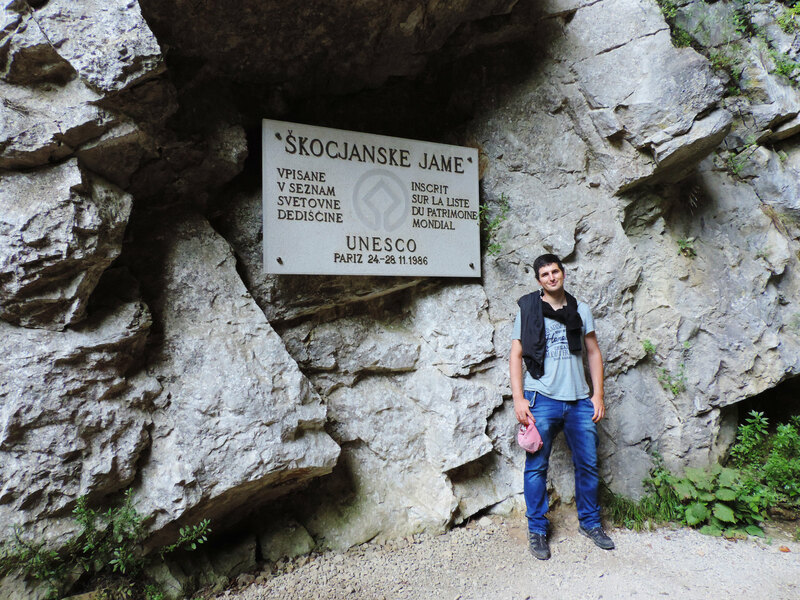 Guided tours in Skocjan Caves are available in several languages. More info here. 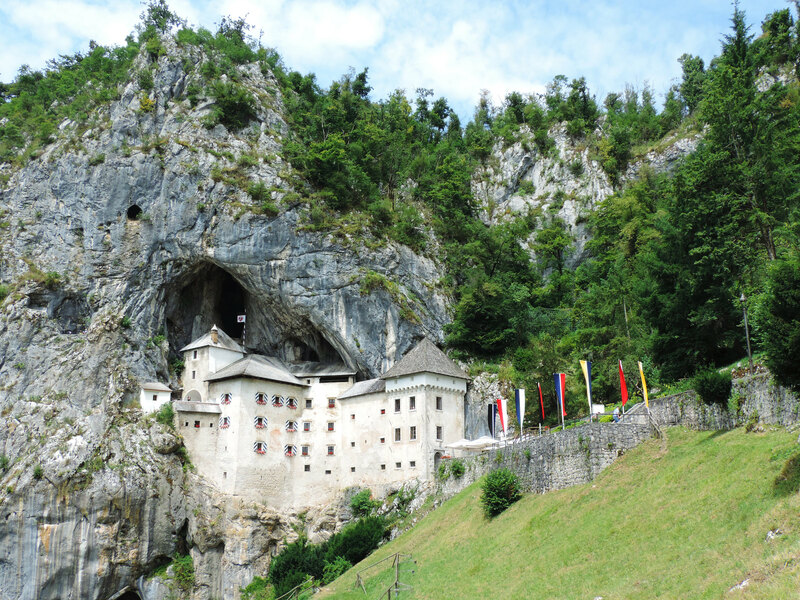 Then we drove to Postojna Cave (Postojnska jama in Slovene). 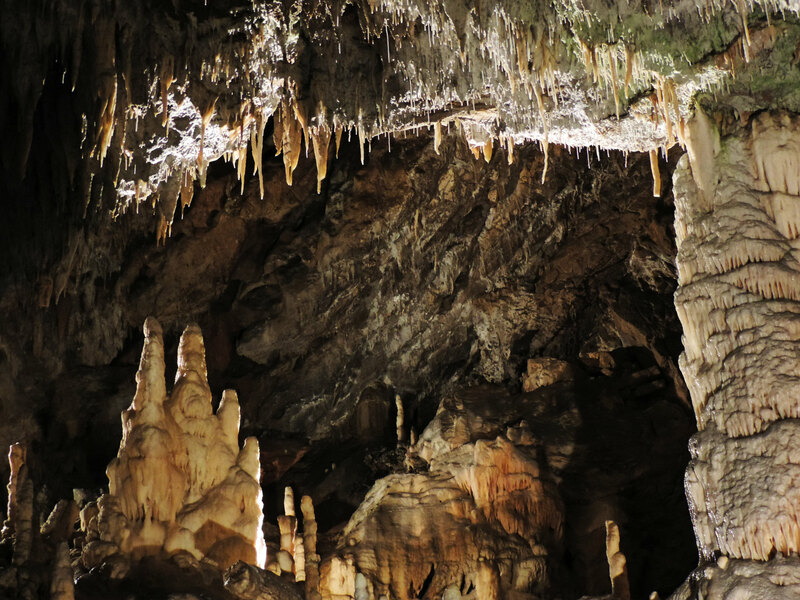 Postojna is probably the largest (24 kilometres long) and most visited cave of the Classical Karst in Europe. Its first section can be visited by electric tourist trains. We found it quite special to be taken through the impressive halls full of amazing karst formations. The second part of the 1.5 hours long guided tour was on foot. We walked through another bunch of colorful halls at a slower pace while taking closer look at the unique karst formations. Guided tours are organized frequently in Postojna Cave in several languages. But be sure to book tickets in advance if you visit in the summer, because tours can easily fill up. More info here. Finally, we finished our day at Predjama Castle. It’s 10 kilometres from Postojna Cave. This 800 years old Renaissance castle is carved into rock. We explored it on a self-guided tour, and we’ve already written a post about our visit – read it here! 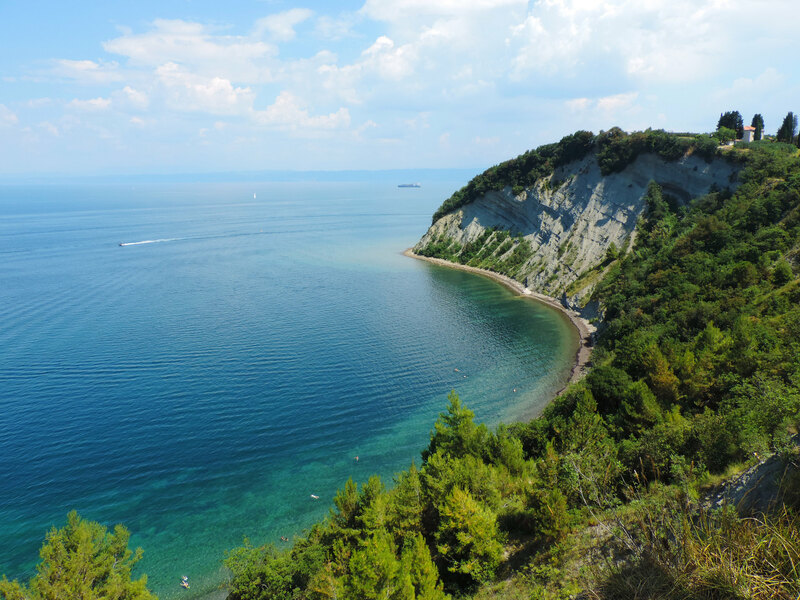 We spent the night in Kozina, but you can also choose to drive to the Adriatic coast, because the next day is all about that. First of all, visiting the Adriatic coast was not our initial plan. But since it was raining in the mountains, we headed to the sunny beaches. We were looking for a secluded beach outside of any busy cities. After some research, we found Nature Park Strunjan. The Strunjan Peninsula with several kilometres of untouched cliff and magically blue bays seemed exactly the kind of place we could instantly fall for. So we did. We spent most of the day on the beach. In the afternoon, we drove to Piran. And the rest of the day we spent walking on the narrow, cobblestone streets, amazed by Piran’s pretty Venetian architecture. 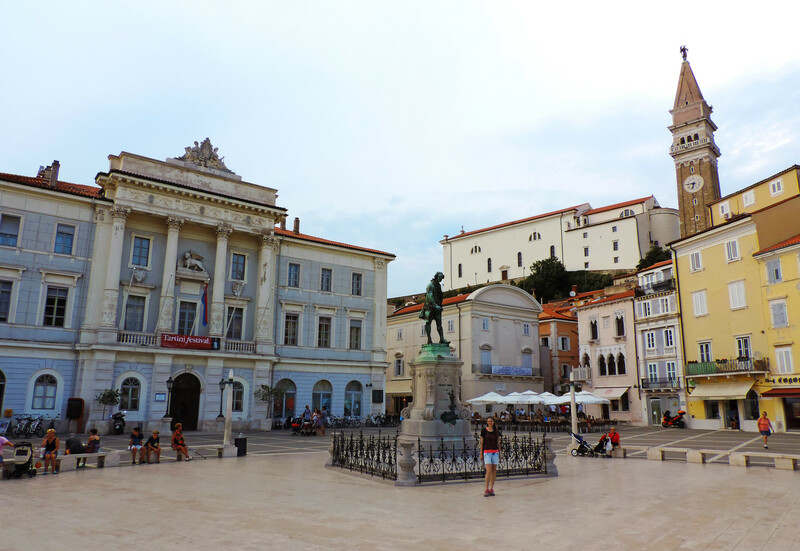 Read more about our visit to Strunjan Peninsula and Piran in this post! 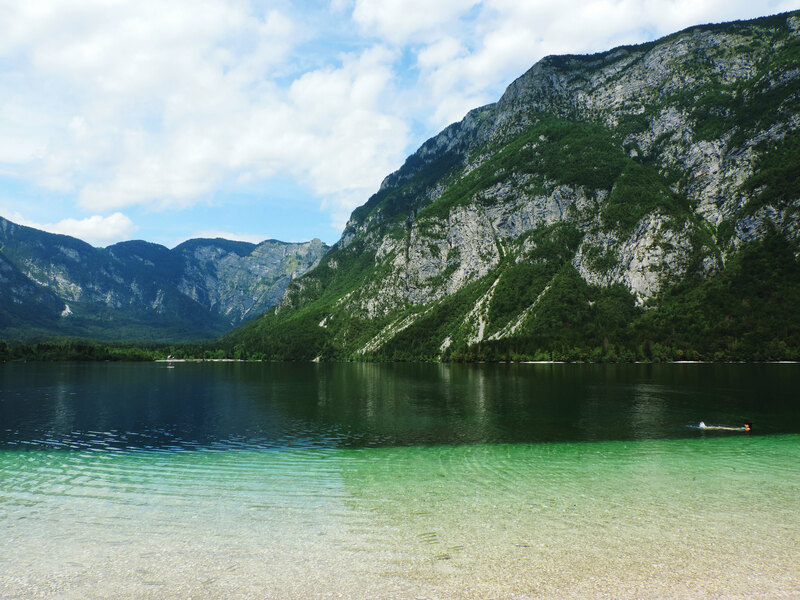 So Lake Bohinj. It was one of our favorite places in Slovenia! We even liked it much better than famous Lake Bled that we visited on the following day. Here’s how we spent our time at both of these lakes. You can definitely plan a full day for both, especially if you like hiking. We started our day at Vintgar Gorge near Bled. It’s a popular and busy place – and for a good reason! It’s a fairy tale canyon with a magically blue, wild mountain stream rushing through it. It takes a couple of hours to walk it all the way and back. 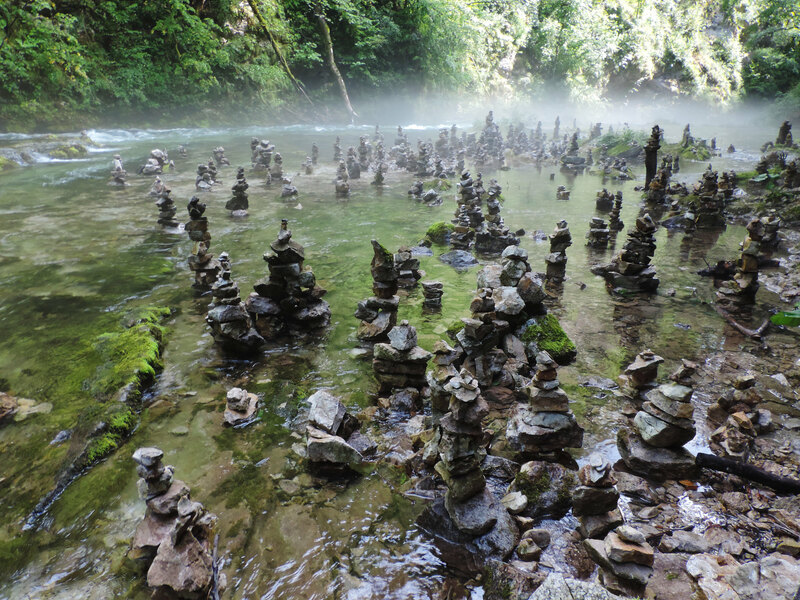 Read more about Vintgar Gorge in this post! 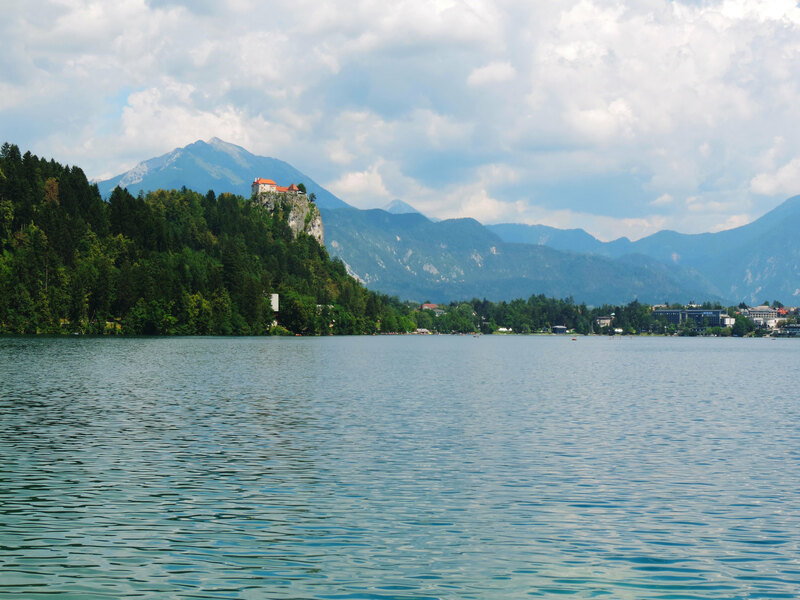 We continued our day hiking all around Lake Bled, occasionally stopping for a swim. Until the thunderstorm arrived. Bled Castle and a short boat trip to Bled Island could have been nice, but we had such a bad weather that we couldn’t do either. 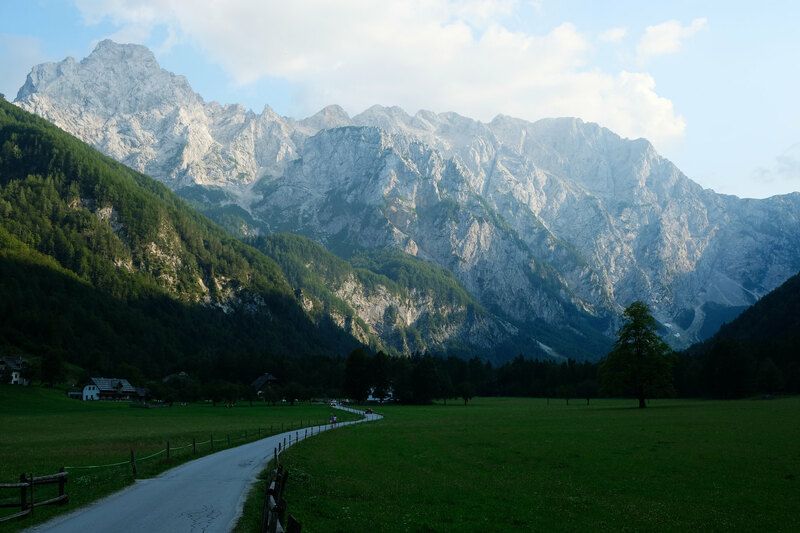 We stayed in Bled that night, but we started our road trip through Triglav National Park the next day. 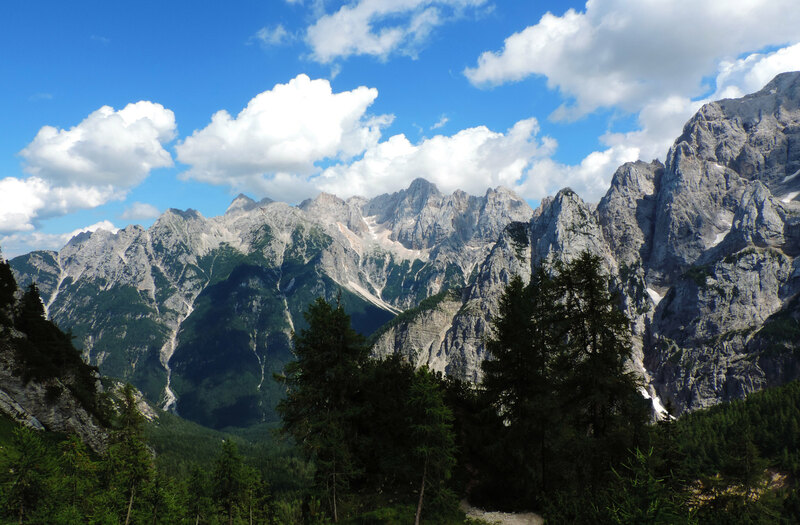 Triglav is Slovenia’s only national park. And the day we drove through it was probably our favorite day on our first trip to Slovenia! The drive itself is only roughly two hours. But we stopped so often, and we did quite some shorter hikes, so it easily took a full, long summer day. Read about the highlights of this drive and our favorite stops in this post! 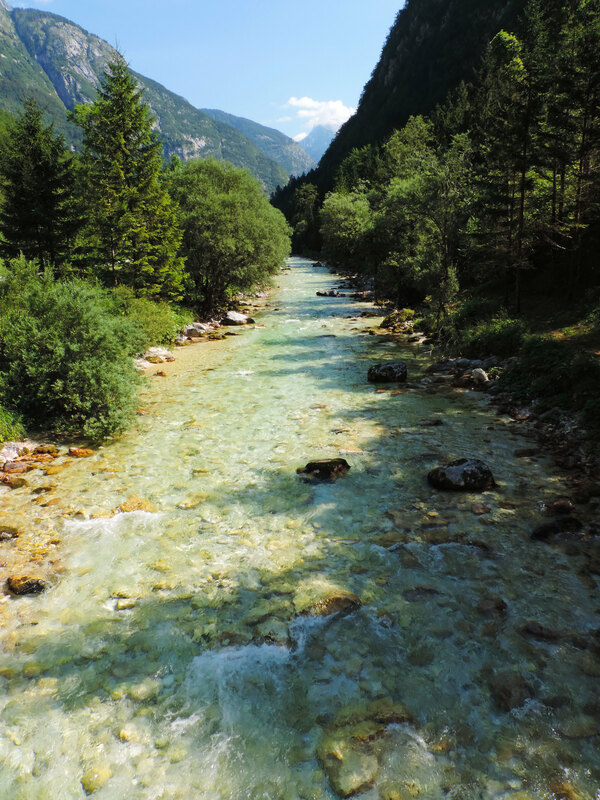 Soča River is probably the most beautiful river in Europe! It’s a turquoise dream surrounded by romantic mountain peaks. 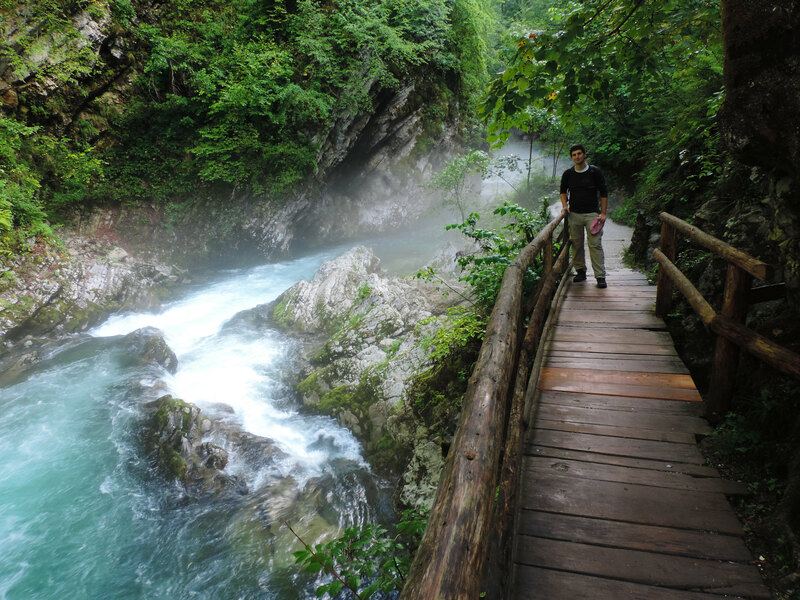 In addition, the Soča Valley is home to some amazing waterfalls and a lot of pretty hiking trails. Rafting on Soča is also a popular activity. Since this region is located further from the most famous touristy places in Slovenia, and it also requires some driving on narrow mountain roads, it’s far less crowded than any other part of Slovenia we’ve been to. But it’s worth the time to get there without any doubts. The two days we spent there hiking flied by too fast. We’ve written a post about all the hikes and waterfalls we’ve explored in the Soča Valley – read it here! Our last day. We only had one place on our list that we wanted to see in any case: Tolmin Gorges. 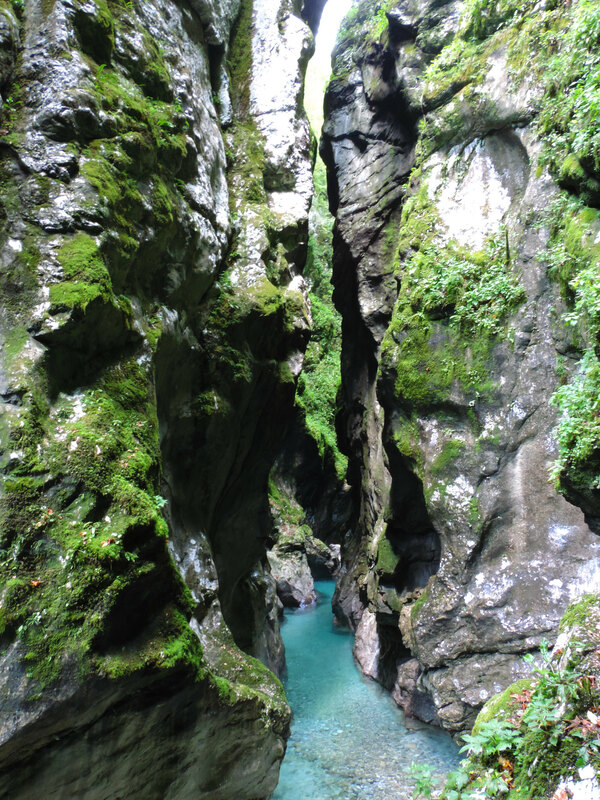 A lot of people don’t know that Vintgar Gorge is not the only fairy tale canyon in Slovenia. Hidden in the Soča Valley near the town of Tolmin, Tolmin Gorges is a similar but less crowded wonderland. The 2 kilometres long loop trail that leads through it is easy and rewarding. Then we had to leave. It was a long drive home. If you drive back to Ljubljana, it takes about 2 hours, and the first half of it is on narrow mountain roads. What else to see in Slovenia? If you have more time – or you’re simply more interested in the country’s cultural heritage instead of hiking so much – you have great options to include in your itinerary. Maribor is the second largest city of Slovenia with a nice historical center. Close to Maribor there’s the oldest recorded city in Slovenia: Ptuj. You can visit its castle, as well. Celje and its Old Castle is located about halfway from Ljubljana to Maribor. Have you been to Slovenia? Any favorite place there?